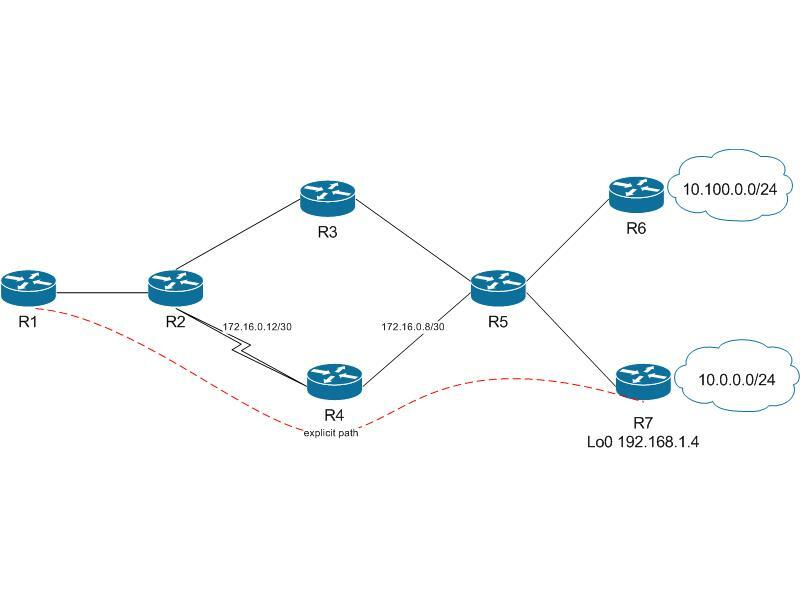 Juniper was kind enough to post "JUNOS As A Second Language" e-learning course aimed at network administrators familiar with Cisco IOS. As somebody who works in production environment I could not help but notice how easy it is to revert changes in JUNOS with "commit confirmed" command. The Configuration Rollback Confirmed Change feature enables an added criteria of a confirmation to configuration changes. This functionality enables a rollback to occur if a confirmation of the requested changes is not received in a configured time frame. Command failures can also be configured to trigger a configuration rollback. 1. When entering configuration mode, this new option allows you to request confirmation (a confirmation time limit must be supplied) of the configuration changes. 2. After exiting configuration mode, you must enter the confirmation command. If no confirmation is entered within the requested time limit, the configuration will revert to its previous state. It might come in handy next time when you change IP address on the wrong interface or make mistake in ACL. Disclaimer: I strongly advise that you have console server with out-of-band access connected to all your critical production routers. Click on image to see bigger version. 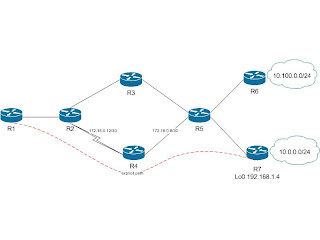 Since R2-R4 link is T3, OSPF will pick R2-R3-R5 path from R1 to either R6 or R7 leaving R2-R4-R5 link underutilized. At the same time I know that traffic from R1 to 10.0.0.0/24 is going to low enough to fit comfortably into T3 link. I wanted to create explicit path tunnel R1-R2-R4-R5-R7 with backup dynamic tunnel. I am going to skip configuration part - there are more then enough examples on the 'Net. For cases involving an explicit path option, you can try to narrow down the problem by first checking every hop in the explicit hop list. You can also try to back down the tunnel: Move the tail one hop back each time to see if the tunnel comes up. If the tunnel comes up when you move the tail to a previous hop, you can conclude that there is a problem between that hop and the next hop, and you can start scrutinizing that hop carefully. Hmm, they do not see R4 as RSVP neighbor at all. What's going on on R4? How does it compare with R4-facing interface on R5? "RSVP: Enabled" string is missing in R4 command output. After some research I found that I need "T" type IOS to run RSVP-TE on R4 which is Cisco 3825. Now, since MPLS TE tunnel is unidirectional, I need to create R7-R5-R4-R2-R1 tunnel as well.